Jay 360 does not answer legal questions (ie. security camera law questions). If you have a legal question we recommend you contact your local bi-law office and/or your local lawyer. 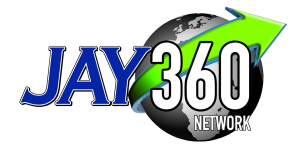 Jay 360 Network provides a HASSLE-FREE and PROFESSIONAL installation. Jay 360 Network provides RELIABLE and ACCURATE installation services. We have over 28 years of installation project management experience to draw on and thousands of happy customers. Deter crime from your location. Monitor and record location activity.